Workplace, when designed well, can provide employees a very effective environment. They can see themselves working differently in the new space. 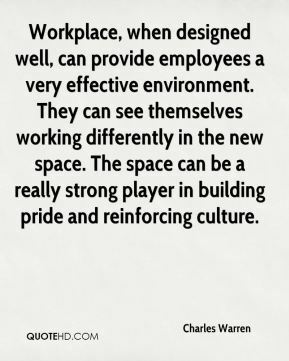 The space can be a really strong player in building pride and reinforcing culture. It was a mater of this is a regional. 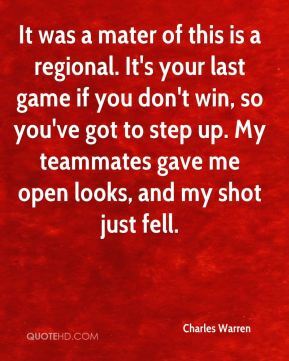 It's your last game if you don't win, so you've got to step up. My teammates gave me open looks, and my shot just fell. 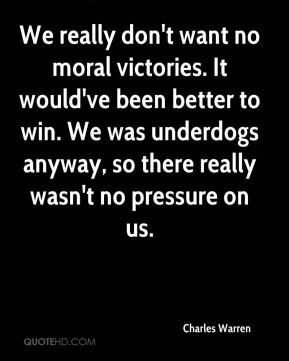 We really don't want no moral victories. It would've been better to win. We was underdogs anyway, so there really wasn't no pressure on us. 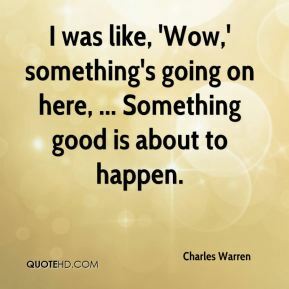 I was like, 'Wow,' something's going on here, ... Something good is about to happen. The evidence base is showing you need to raise taxes, you need to pass laws and enforce laws on exposure to second-hand smoke. 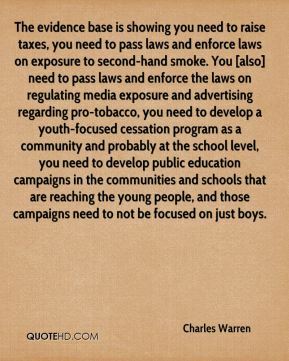 You [also] need to pass laws and enforce the laws on regulating media exposure and advertising regarding pro-tobacco, you need to develop a youth-focused cessation program as a community and probably at the school level, you need to develop public education campaigns in the communities and schools that are reaching the young people, and those campaigns need to not be focused on just boys. 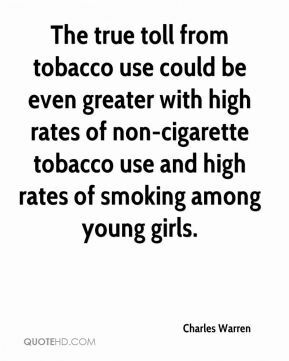 The true toll from tobacco use could be even greater with high rates of non-cigarette tobacco use and high rates of smoking among young girls.